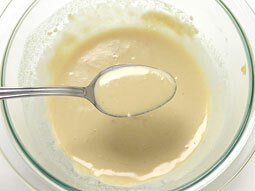 Tahini Sauce, a creamy sauce made from tahini (sesame seed paste), is simple yet must have delightful dip for Falafel. 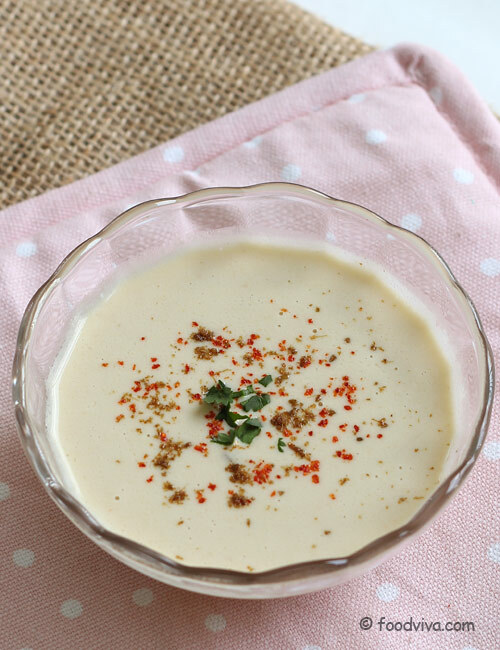 You can make tahini sauce at home in less than 5 minutes by using either store bought or homemade tahini, as it just requires mixing tahini, lemon juice, garlic paste, olive oil and salt in small amount of warm water using a wired whisk. This Tahini Sauce Recipe explains how to make it at home with step by step photos and explains how to use it as a dip, spread or salad dressing. Add garlic paste, olive oil and salt. 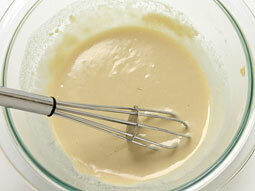 Mix well using a wired whisk or a spoon. 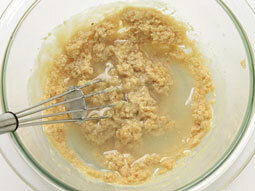 Mixture will turn crumbly (not runny) as shown in the photo. Add 2 tablespoons warm water. 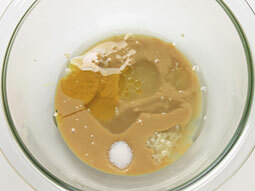 Mix well until mixture turns smooth and creamy. Transfer it to a serving bowl and sprinkle cayenne pepper and ground cumin over it. 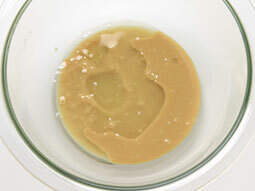 Tahini sauce is now ready for serving. 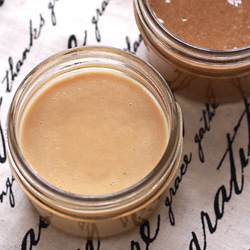 You can use homemade or store bought tahini per your convenience. 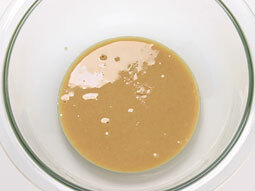 Reduce water quantity in step-5 if you want thick consistency for sauce or increase water quantity to make it thinner. 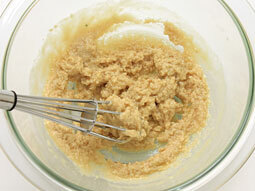 If you plan to use tahini sauce as spread, go for thick consistency. For using it as a dressing/sauce with falafel, add 1/2 tablespoon more water and mix well to get thin consistency. Garnish it with finely chopped parsley or basil for variation. Serving Ideas: Tahini sauce can be served as a dip with falafel or fresh cut vegetables like carrot, broccoli, celery, zucchini etc. You can also use it as a salad dressing; toss freshly cut veggies with it in a bowl to cover them with it before serving the salad.